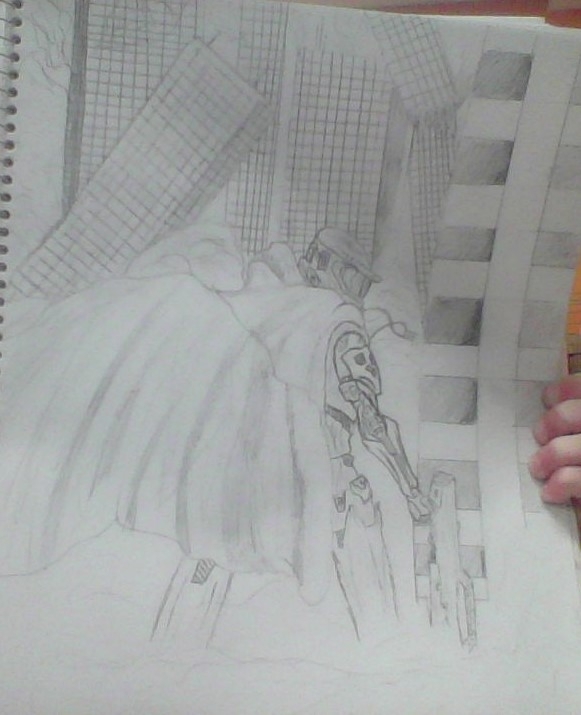 I forgot to add... Num 1 pic is Master Chief....Num 2 pic. 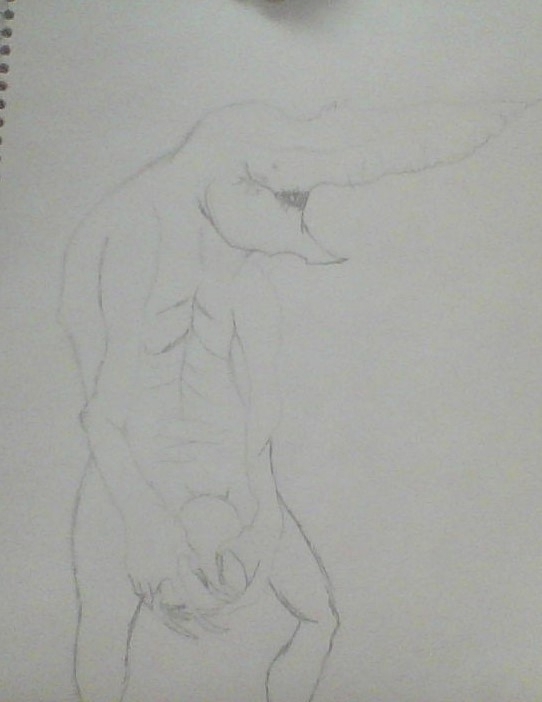 A creature of my own design called the Necrosaur....Num 3 pic. 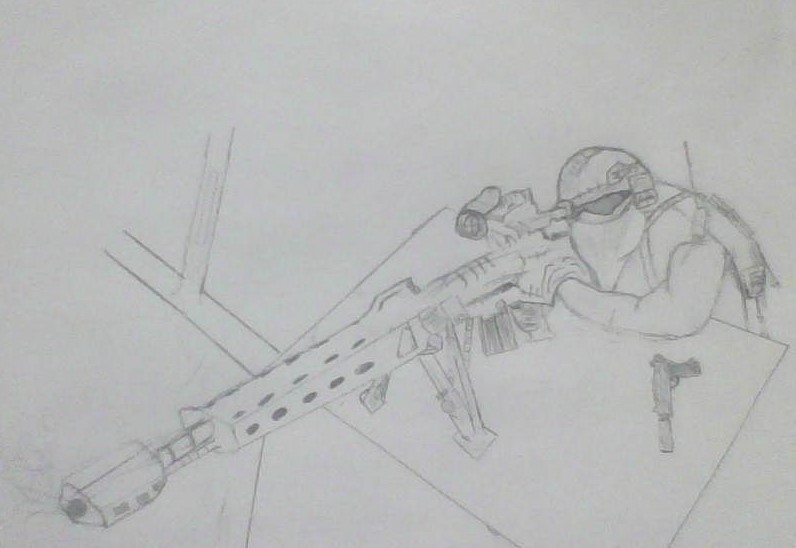 A sniper.....Num 4 pic. 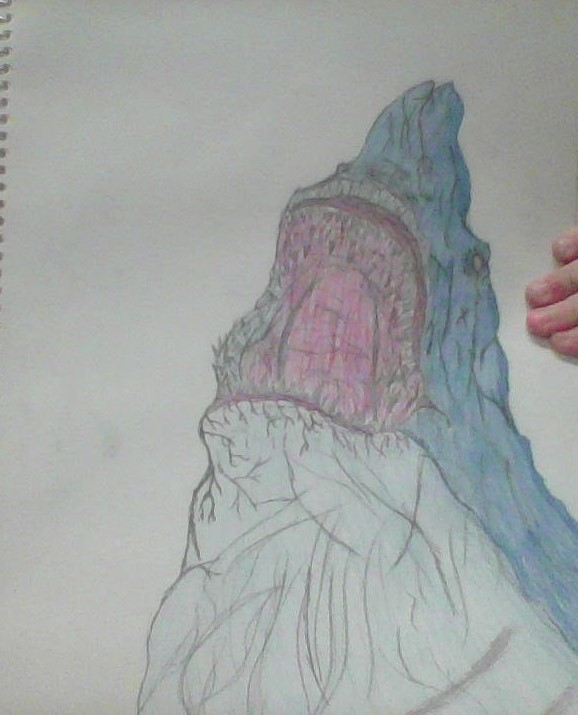 Jaws.....Num 5 pic. 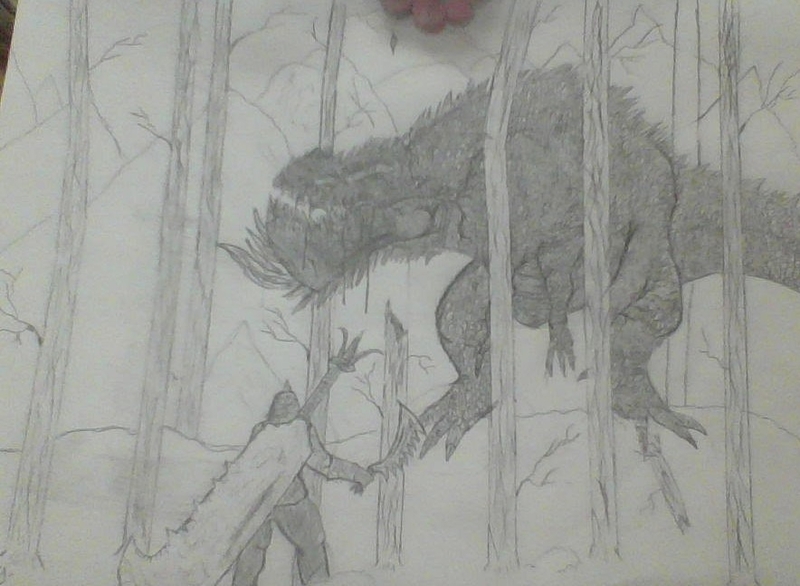 Battle scene between a knight and a monster.....Num 6 pic. 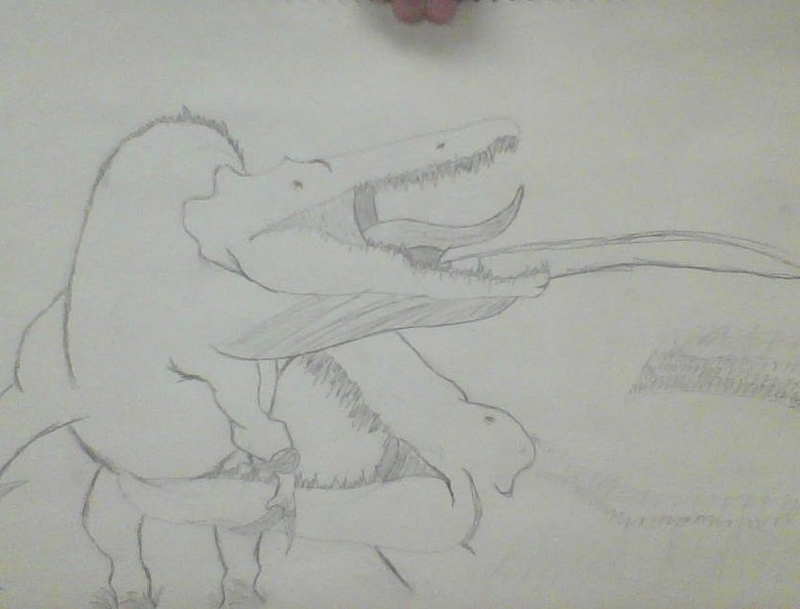 Suchiomimus vs. Deinosuchus....Num 7 pic. 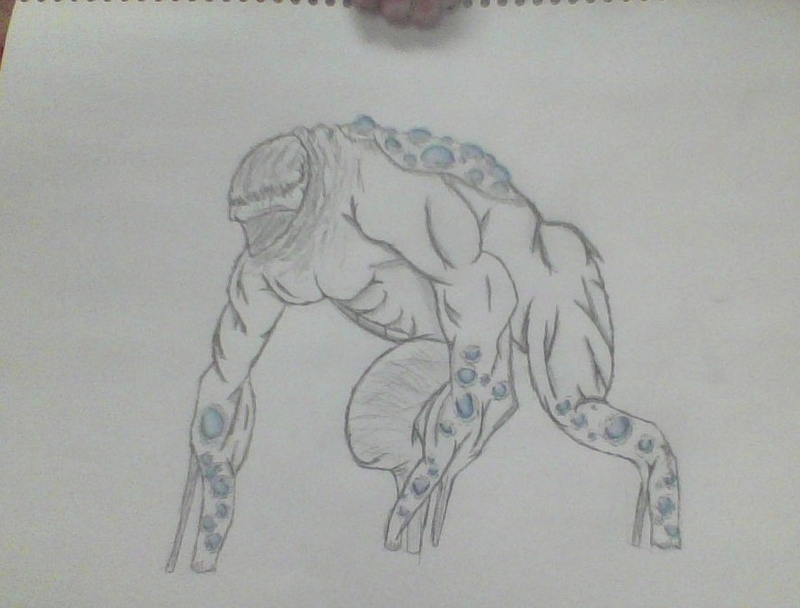 A creepy creature I sketched....Enjoy! Looking good! I dig the Necrosaur design. I'm actually planning on making the necrosaur for comic con! I think it would be cool to come as something I designed!